Professor Smith’s main interests concern the nature of values, virtues, and the requirements of objective law. Current research focuses on psychological dimensions of egoistic morality. 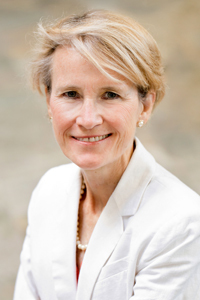 Smith is the author of Judicial Review in an Objective Legal System (2015); Ayn Rand's Normative Ethics – The Virtuous Egoist (2006); Viable Values – A Study of Life as the Root and Reward of Morality (2000); and Moral Rights and Political Freedom (1995).Recent essays include “The Free Speech Vernacular – Conceptual Confusions in the Way We Speak About Speech,”Texas Review of Law and Politics; “A Conceivable Constitution – How the Rational Basis Test Throws Darts and Misses the Mark,” South Texas Law Review; and “On a Pedestal – Sport as an Arena for Admiration,” Sport, Ethics & Philosophy. Smith is the BB&T Chair for the Study of Objectivism and holds the Anthem Foundation Fellowship. This course will examine fundamental questions about the nature, authority, and proper application of law. We will begin by considering the purpose and the authority of a legal system. What function is the law to fill? What does the ideal of the Rule of Law demand, and what is the role of a constitution in securing that ideal? Must laws meet certain moral criteria in order to carry genuine authority? The second and third units will concentrate on questions concerning the application of law in the judicial system. Unit 2 will focus on judicial review – specifically, the methods by which courts should interpret the law and reason about the law in order to resolve disputes concerning law’s proper application in particular cases. What constitutes inappropriate judicial “activism?” What constitutes inappropriate passivism? We will consider several competing theories, such as those that urge adherence to lawmakers’ original intent, to text, to moral principles, popular will, and precedent. Finally, Unit 3 will focus on juries. What, properly, is their role in the administration of justice? What are the reasons for having juries (as opposed to judges or other government officials) reach verdicts and determine sentences? How should juries be constituted? Is jury nullification ever a justifiable practice? Grades will be determined on the basis of three exams, a paper, and a few brief written homework assignments. This seminar will examine freedom of speech through the lenses of history, philosophy, and law. Most people are eager advocates of freedom of speech – in principle. In practice, however, important differences emerge about exactly how much this freedom properly protects and the boundaries determining when one person’s speech violates the rights of another (due to its being offensive, incendiary, invasive, pornographic, fraudulent, libelous, etc.). We will begin with a brief survey of the way that freedom of expression has emerged historically around the world, tracing rulers’ efforts to suppress speech (e.g., banned books, artistic and educational censorship, speech licensing). What is it that makes the expression of opinion particularly threatening to those in power? What is the power of speech? Tara Smith has been at UT since 1989 and has taught numerous courses for Plan II, including, most recently, the freshman seminar “Art, Sport, & the Meaning of Life,” which explores value in the arts, in sports, and the basic nature of value, more broadly. Smith’s research focuses on questions in moral, political, and legal philosophy, with a great deal of recent work on objectivity in judicial review and the proper understanding of the First Amendment. In that vein, she organizes the annual UT Essay Contest on Freedom of Speech, frequently brings guest speakers to campus, and is partnering with Plan II to launch the First Amendment Scholars Program. Current research is in ethics, particularly on the interplay of a person’s philosophical beliefs with psychological habits in the leading of a good life. Beyond academic work, Smith makes time for football, theater, reading, and celebrations of words. This seminar will examine freedom of speech through the lenses of history, philosophy, and law. Most people are eager advocates of freedom of speech – in principle. In practice, however, important differences emerge about exactly how much this freedom properly protects and the boundaries determining when one person’s speech violates the rights of another (due to its being offensive, incendiary, invasive, pornographic, fraudulent, libelous, etc.). We will begin with a brief survey of the way that freedom of expression has emerged historically around the world, tracing rulers’ efforts to suppress speech (e.g., banned books, artistic and educational censorship, speech licensing). What is it that makes the expression of opinion particularly threatening to those in power? What is the power of speech? We will then consider the two broadest philosophical rationales for freedom of speech, namely, utilitarian and libertarian: those focused on the benefit to society and those on the rights of the individual. Does either provide speech with wider latitude? or with more robust and more reliable protection? Should different categories of speech (such as political, or artistic, or commercial) enjoy differing levels of protection? The third paper will be an in-depth project that blends research of specific legal disputes with philosophical analysis of the contesting arguments. Tara Smith has taught at UT since 1989 and has organized the Dialogues on Free Speech speaker series since 2011. She specializes in moral, political, and legal philosophy, and has concentrated recent research in questions of legal meaning and objective law. She is currently writing on the proper understanding of religious freedom. Smith’s most recent other seminar for Plan II has been Art, Sport, & the Meaning of Life, which explores value in the arts and in sports and the nature of value, more broadly. Beyond academic work, Tara makes time for football, theater, reading, and celebrations of words. This course will explore the meaning and value of two unusual human activities – the creation and contemplation of art and the playing and watching of sports – and aim to situate them in the larger framework of how human beings should lead their lives. What, in particular, is truly valuable in a human life? What is most valuable? And what might art or sport have to do with that? In different forms, both art and sport have been around for ages. Why is that? “It’s just a story,” after all; “it’s only a game.” Both realms are artificial and even the finest displays in each stand removed from people’s practical concerns. Neither offers a utilitarian service, such as baking bread or curing the sick. Yet numerous people the world over devote countless hours and often care passionately about a work of art or a particular team. (Think about your favorite music, or a painting that you loathe, or the OU game.) Should they care so much about such ... trivialities? Is human interest in art or sport a matter of personal preference or taste, or does either speak to some sort of need in the human psyche? If so, what is the exact nature of this need? What is it a need for? Can we have non-physical needs? People enjoy many forms of rest and less structured forms of play than those provided by art and sport. Nature offers considerable beauty and people’s lives (as well as history) offer plenty of stories to contemplate. Given this, what is it about the creation or contemplation of art or about being a spectator or player of sport that is distinctively gratifying? And what is the point of these activities? Is art valuable in order to teach lessons, for instance, or to convey a moral? Is sport worthwhile as a means of building character or developing specific skills or traits, such as discipline, persistence, or teamwork, as many have claimed? Is either art or sport simply an end in itself? What makes anything an end in itself? And what bestows value on anything, for that matter? By seeking to understand the unusual kind of value that art and sport offer (along with significant similarities and differences in their value), we will be led to consider the nature of values, as such. Correspondingly, by exploring the meaning of art and the meaning of sport, we will explore the age-old question of the meaning of life – and the value of things within a person’s life. Essays on various aspects of art’s message, sports’ beauty, sportsmanship, different types of fans, etc. Tara Smith works primarily in legal, moral, and political philosophy. She is most interested in the nature of values, virtues, happiness, and the requirements of objective law. She has published four books: Judicial Review in an Objective Legal System (2015), Ayn Rand's Normative Ethics – The Virtuous Egoist (2006), Viable Values – A Study of Life as the Root and Reward of Morality (2000), and Moral Rights and Political Freedom (1995). Her articles span such topics as honesty, justice, forgiveness, friendship, pride, moral perfection, intrinsic value, the nature of objectivity, rights “conflicts,” and the Rule of Law. She holds the BB&T Chair for the Study of Objectivism and is a lifelong New York Giants fan. Most people are eager advocates of freedom of speech – in principle. In practice, however, important differences emerge about exactly how much this freedom properly protects and the boundaries determining when one person’s speech violates the rights of another (due to its being offensive, pornographic, incendiary, invasive, fraudulent, libelous, etc.). Tara Smith has taught at UT since 1989 and has organized the Dialogues on Free Speech speaker series since 2011. She specializes in moral, political, and legal philosophy (having published three books and a few dozen articles in these areas), and has concentrated recent research in questions of legal meaning and objective law (e.g., how should courts interpret the Constitution?). Her most recent seminar for Plan II has been Art, Sport, & the Meaning of Life, which explores value in the arts and in sports and the nature of value, more broadly. Beyond academic work, Tara makes time for football, theater, reading, and celebrations of words. The second and third units will concentrate on questions concerning the application of law in the judicial system. Unit 2 will focus on judicial review – specifically, the methods by which courts should interpret the law and reason about the law in order to resolve particular cases. What constitutes inappropriate judicial “activism?” What constitutes inappropriate passivism? We will investigate several competing theories, such as those that urge adherence to lawmakers’ original intent, to text, to moral principles, popular will, and precedent. Finally, Unit 3 will focus on juries. What is their proper role in the administration of justice? What are the reasons for having juries (as opposed to judges or other legal professionals) reach verdicts and determine sentences? How should juries be constituted? Is jury nullification ever a justifiable practice? In different forms, both art and sport have been around for ages. Why is that? “It’s just a story,” after all; “it’s only a game.” Both realms are artificial and even the finest displays in each stand removed from people’s practical concerns. Neither offers a utilitarian service, such as baking bread or curing the sick. Yet numerous people the world over devote countless hours and often care passionately about a work of art or a particular team. (Think about your favorite music, or a painting that you loathe, or the OU game.) Should they care so much about such … trivialities? Is human interest in art or sport a matter of personal preference or taste, or does either speak to some sort of need in the human psyche? If so, what is the exact nature of this need? What is it a need for? Can we have non-physical needs? Additional readings will be required in the form of a course packet, PDF’s posted to Blackboard, and online articles. Tara Smith works primarily in moral, legal, and political philosophy. She is most interested in the nature of values, virtues, happiness, and the requirements of objective law. She has just finished a book on proper judicial decision-making within an objective legal system. Previous books are Ayn Rand's Normative Ethics – The Virtuous Egoist (2006), Viable Values – A Study of Life as the Root and Reward of Morality (2000), and Moral Rights and Political Freedom (1995). Her articles span such topics as honesty, justice, forgiveness, friendship, pride, moral perfection, intrinsic value, the nature of objectivity, rights “conflicts,” and the Rule of Law. She holds the BB&T Chair for the Study of Objectivism and is a lifelong New York Giants fan. Graduate standing and consent of Graduate Advisor or instructor required. This seminar will examine the relationship between a legal system’s basic authority and the proper methodology for judicial review (appellate courts’ interpretation and application of law). If proper judicial decision-making maintains fidelity to the law, it clearly presupposes an account of what the law is.That, in turn, depends on understanding the roots of law’s authority – what possesses the requisite authority to constitute genuine law? Thus we will examine the fundamental nature of a legal system’s authority (including its possible moral authority) to ground guidelines for the proper conduct of judicial review. We will focus particularly on two widespread models of legal authority: constitutional and common law. By probing the bases and limitations of each, we’ll gain a firmer grasp of the character of legal authority, as such. We will then consider how differing conceptions of the law’s authority shape some of the leading accounts of proper judicial review, again, narrowing our focus to two influential approaches: Judicial Minimalism and Dworkinian Perfectionism. In different forms, both art and sport have been around for millennia. In part, we will address the question: why? “It’s just a story,” after all; “it’s only a game.” Both realms are artificial and even the finest displays in each stand removed from ordinary, practical concerns. Neither offers a utilitarian service, such as baking bread or curing the sick. Yet people devote countless hours and often care passionately about a work of art or a particular team. (Think about your favorite music, or a painting that you loathe, or the OU game.) Should they care so much about such … trivialities? Is interest in art or sport a matter of personal preference or taste, or does either speak to some sort of need in the human psyche? If so, what is the exact nature of this need? What is it a need for? Can we really have non-physical needs? By seeking to understand the unusual kind of value that art and sport offer (along with significant similarities and differences in their value), we will be led to consider the nature of values, as such. Correspondingly, by exploring the meaning of art and the meaning of sport, we will explore the age-old question of the meaning of life. And the meaning and value of things within a person’s life. Professor Tara Smith’s main interests concern the nature of values, virtues, and the requirements of objective law. She is currently writing a book on objective law and its proper interpretation by courts. Smith is the author of Ayn Rand's Normative Ethics – The Virtuous Egoist (2006), Viable Values – A Study of Life as the Root and Reward of Morality (2000), and Moral Rights and Political Freedom (1995), as well as numerous articles spanning such topics as honesty, justice, forgiveness, friendship, pride, moral perfection, intrinsic value, the nature of objectivity, rights “conflicts,” judicial Originalism, and the Rule of Law. She holds the BB&T Chair for the Study of Objectivism and is a lifelong New York Giants fan. This course, intended to introduce students to certain basic issues in philosophy of law, will be organized around the question: What should a legal system be? What are the fundamental features that are vital to a proper legal system, and what are some of the competing understandings of what these are? By reading both historical and contemporary authors, we will examine the theoretical bases of proper law as well as the appropriate practical implementation of key ideals in legal systems today. Correspondingly, along the way, we will consider the meaning of several concepts that are arguably crucial to a proper legal system, such as rights, freedom, representation, popular sovereignty, democracy, and republic. In different forms, both art and sport have been around for millennia. In part, we will address the question: why? “It’s just a story,” after all; “it’s only a game.” Both realms are artificial and even the finest displays in each stand removed from ordinary, practical concerns. Neither offers a utilitarian service, such as baking bread or curing the sick. Yet people devote countless hours and often care passionately about a work or art or a particular team. (Think about your favorite music, or a painting that you loathe, or the OU game.) Should they? Is interest in art or sport a matter of personal preference or taste, or does either speak to some sort of need in the human psyche? If so, what is the exact nature of this need? What is it a need for? Does man have non-physical needs? People enjoy many forms of rest and less structured forms of play than those provided by art and sport. Nature offers considerable beauty and people’s lives (as well as history) offer plenty of stories to contemplate. Given this, what is it about the creation or contemplation of art or about being a spectator or player of sport that is distinctly gratifying? And what is the point of these activities? Is art valuable in order to teach lessons, for instance, to convey a moral? Is sport worthwhile as a means of building character of developing specific skills or traits, such as discipline, persistence, or teamwork, as many have claimed? Is either art or sport simply an end in itself? What makes anything and end in itself? And what bestows value on anything, for that matter? By seeking to understand the unusual kind of value that art and sport offer (along with significant similarities and differences in their value), we will be led to consider the nature of values, as such. Correspondingly, by exploring the meaning of art and the meaning of sport, we will explore the age-old question of the meaning of life. And the meaning and value of things in a person’s life. Professor Tara Smith’s main interests concern the nature of values, virtues, and the requirements of objective law. She is currently writing a book on proper methodology in judicial review. Smith is author of Ayn Rand's Normative Ethics – The Virtuous Egoist (2006), Viable Values – A Study of Life as the Root and Reward of Morality (2000), and Moral Rights and Political Freedom (1995), as well as a number of articles in such venues as The Journal of Philosophy, American Philosophical Quarterly, Law and Philosophy, and Social Philosophy and Policy. Recent publications include “Reckless Caution: The Perils of Judicial Minimalism,” NYU Journal of Law & Liberty, 2010, and “Originalism’s Misplaced Fidelity: 'Original' Meaning is Not Objective," Constitutional Commentary, 2009. She is the BB&T Chair for the Study of Objectivism and also holds the Anthem Foundation Fellowship and is a lifelong, devoted New York Giants fan. TC 302: Art, Sport, & the Meaning of Life Tara SmithGeneral Description:This course would explore the meaning and value of two unusual human activities – the creation and contemplation of art and the playing and watching of sports – and aim to situate them in the larger framework of how human beings should lead their lives. What, in particular, is truly valuable in a human life? What is most valuable? And what might art or sport have to do with that?In different forms, both art and sport have been around for millennia. In part, we will address the question: why? “It’s just a story,” after all; “it’s only a game.” Both realms present artificial constructs, and their pursuits stand removed from ordinary, practical concerns. Neither offers a utilitarian service, such as baking the bread or curing the sick. Yet people devote countless hours and often care passionately about a work of art (think of one that you loathe) or a particular team. Should they?Might either of these phenomena speak to some sort of need in the human psyche? A need that is spiritual, rather than physical? A need for what, though? There are other forms of rest and less structured forms of “play;” nature offers plenty of beauty, and people’s lives and history offer plenty of stories, to contemplate. What is it about the creation or contemplation of art or about the participation in or being a spectator of sport that is gratifying? And what is the point of these activities – is art to teach lessons, for instance, convey a moral? Is sport to build character, or develop skills of teamwork? Is either, in any legitimate sense, simply an end in itself?What makes anything an end in itself? And what bestows any value on anything, for that matter? By exploring these and further questions – including some of the differences as well as the salient similarities between the two realms – we will try to understand the significance of art, sport, and the meaning and value of how one lives his life. Brief Biography: Tara Smith specializes in moral, legal, and political philosophy. She has worked considerably on the foundations of value and the moral virtues – in particular, those that compose a rationally self-interested life – and has published books and dozens of articles on these as well as such topics as friendship, romantic love, individual rights, the value of money, and the nature of objectivity. Her recent work focuses in jurisprudence on questions of proper interpretation of the law by judges and moral broadly, on the nature of objective law. Smith holds the BB&T Chair for the Study of Objectivism, and is a lifelong, devoted New York Giants fan. Graduate Standing and Consent of Graduate Advisor required. This seminar will examine legal authority in relation to adjudication. Insofar as proper judicial decision-making maintains fidelity to the law, its requirements depend on what the law is, and that, in turn, depends on the roots of law’s authority. Thus we will study the fundamental nature of legal authority, of moral authority, and the relationship between the two in this context. Our examination will focus particularly on two widespread and in many ways successful forms of legal authority: constitutional and common law. By probing the sources and limitations of these, we will gain a firmer grasp of the character of legal authority as such. We will then consider how differing conceptions of the law’s authority shape some of the leading accounts of proper adjudication, focusing on Judicial Minimalism (increasingly advocated by thinkers across the ideological spectrum) and Dworkinian perfectionism. This course, intended to introduce students to certain basic issues in philosophy of law, will be organized around the question: What should a legal system be? What are the fundamental features and instruments that are vital to a proper legal system, and what are some of the competing understandings of what these are? The aim of this semester is to introduce topics in epistemology and metaphysics, initially through the works of two major philosophers, Ren� Descartes (f. 1640) and David Hume (f. 1745). They will serve to introduce two main themes: the nature of knowledge and skepticism; and the nature of the human mind and action. Descartes is known for two highly influential ideas. His skepticism arises from his reflection that we might be deceived by an “evil demon” who makes it seem as if our ordinary world exists whereas in reality there is nothing. Although Descartes hoped to defuse skepticism, it has lived on, inspiring not only generations of philosophers, but also leaving its mark in such movies as Matrix and Solaris. Descartes’ dualism is his view that mind and body are entirely distinct. This view has been supported by religious thinkers, by many philosophers impressed by the distinctive character of consciousness, and by some defenders of free will. Hume’s Enquiry Concerning Human Understanding is famous for supposedly arguing for a form of skepticism that Descartes did not explicitly consider: skepticism about whether the future will resemble the past. His discussion of this issue is closely intertwined with a remarkable theory of causation, a theory which led him to hold that an action can be free, and so can merit praise or blame, even though it is causally determined. We will also discuss some aspects of Hume’s philosophy of religion, notably his section on miracles, and his presentation of the problem of evil. Past topics include contemporary ethical theory; theories of justice; philosophy of law; social contract theories; political philosophy. Study of basic principles of the moral life, with critical examination of traditional and contemporary theories of the nature of goodness, happiness, duty, and freedom. Topic courses focusing on philosophy in a particular context. Critical examination of leading theories of the state, including analysis of such concepts as sovreignty, obligation, rights, and freedom.